History never smelled so good! 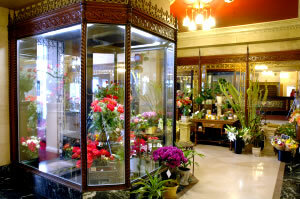 The Flower Shop at The Davenport Hotel is one of the oldest florist shops in Spokane. Located off the lobby of the grand Davenport Hotel, fresh blooms from around the world are artfully arranged on the same marble counter that first entered service when the hotel opened in 1914. The floral artisans at work here are the same people who make the grand arrangements on display throughout the hotel so you know their work is impressive. 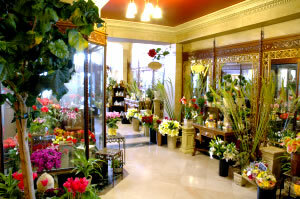 The staff takes particular joy in crafting memorable arrangements for weddings, anniversaries and retirement parties. Single roses and creative arrangements for home or office are specialties. Just off the lobby of Spokane's famous Davenport Hotel. Local delivery is available.